As someone who writes for a living, I spend an awful lot of time on my laptop not writing. Of course, I comply with all of my deadlines and project timelines, but willpower is no match for the constantly updated social media sites. Because of this, and like right now, I typically write with a pen and paper before transferring my first draft to my laptop. It’s time consuming and I usually struggle to read my chicken scratch. This is exactly why I must have the Freewrite. 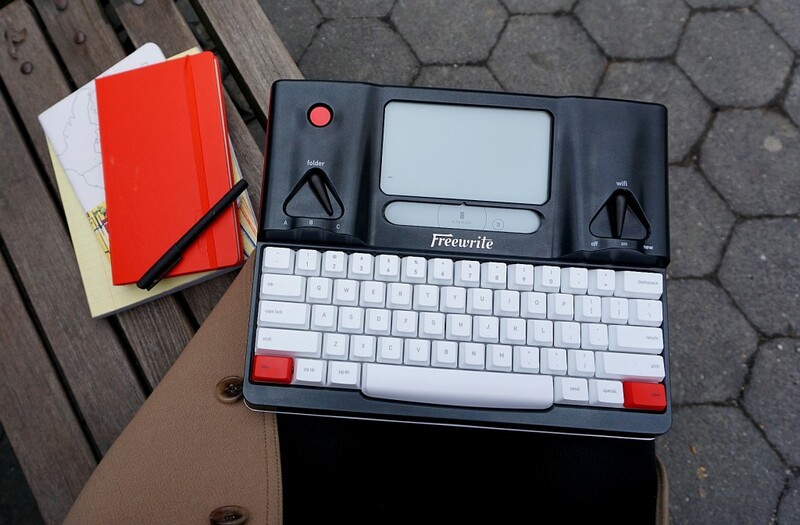 Formerly known as the Hemingwrite, the Freewrite is the world’s first smart typewriter. 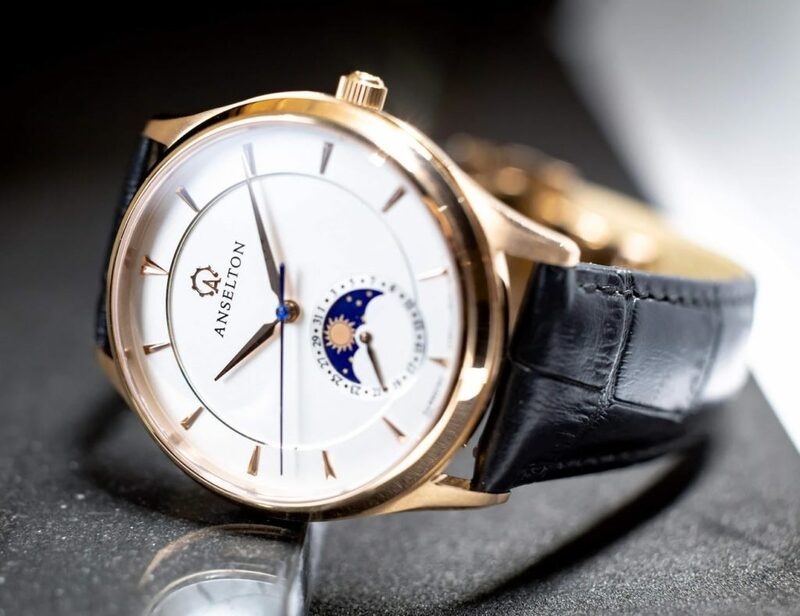 It allows you to write freely, as the name suggests, without distractions – even if you have no willpower. 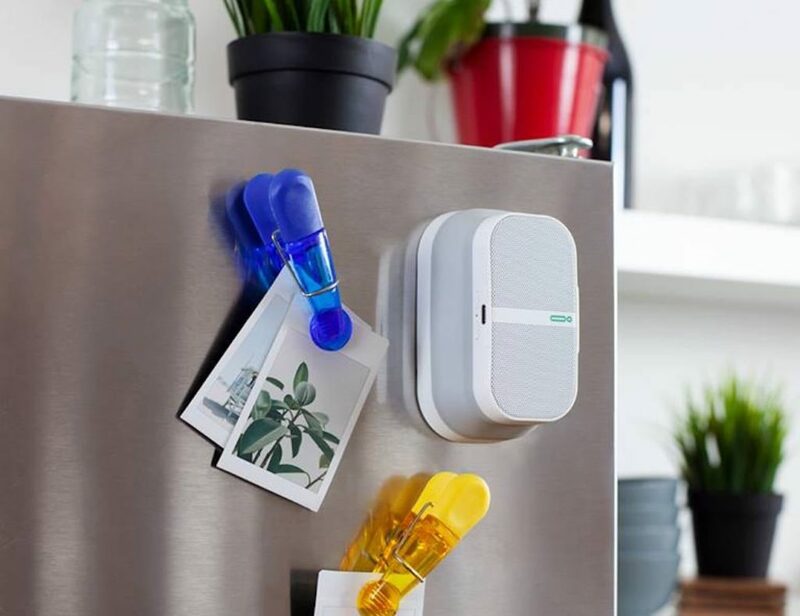 Although it’s smart, its Wi-Fi connection only lets you save and upload your work and not peruse your ex’s latest Instagram post. Consisting of a small screen, all the QWERTY keys you need, and a few select function buttons, the Freewrite is extremely minimal, making it perfectly fit for purpose. 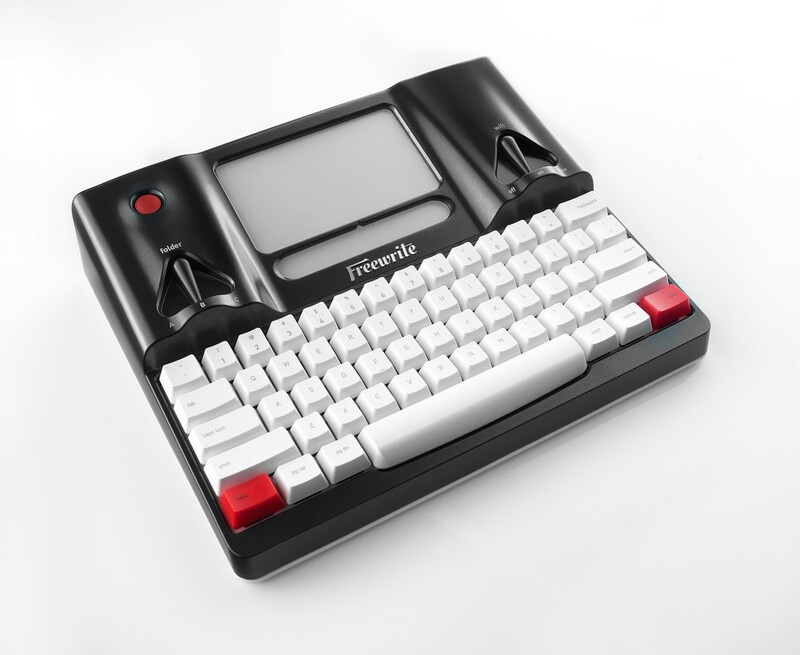 Rather than the traditional typewriter prototype you’re imagining, the Freewrite is decked out with large tangle white keys each with its own mechanic switch. This means you’ll have a satisfying “click” sound with each keystroke along with increased tactile feedback. Above the keys and to the left of the screen is a large red power button along with a switch for choosing folder A, B, or C to organise your work. To the right of the screen is a switch for Wi-Fi. Choose to have it on or off or use the switch to create a new document. 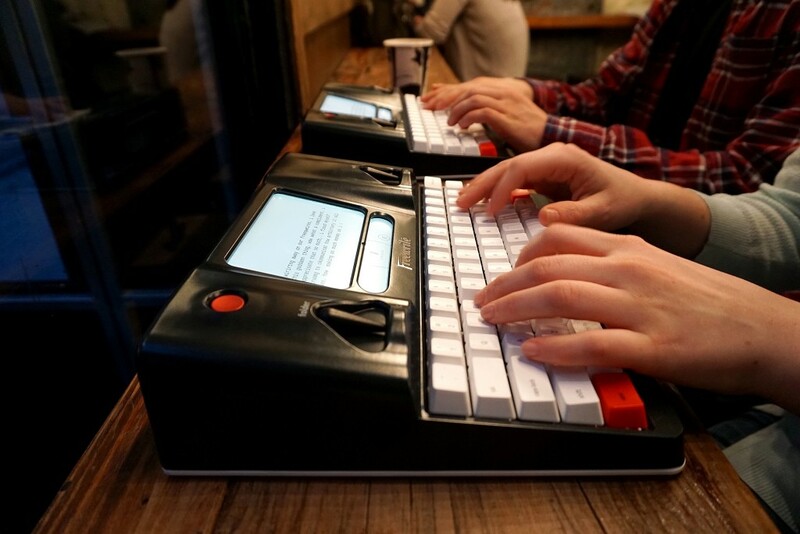 The Wi-Fi allows the Freewrite to be a smart typewriter. Instead of exposing you to the world wide web, the Wi-Fi only lets you connect and automatically save your documents to the likes of Google Drive, Dropbox, and Evernote. The compact E Ink display screen has a front light and provides just under five inches of writing space and a four-inch status window. When used for about a half an hour a day, the Freewrite will last an incredible four weeks before the battery will need to be topped up. Amazingly, the built-in storage is able to hold over a million pages of your improved, distraction-free writing. The Freewrite was built to be portable and the rugged aluminum body is finished with a handle just above the screen. 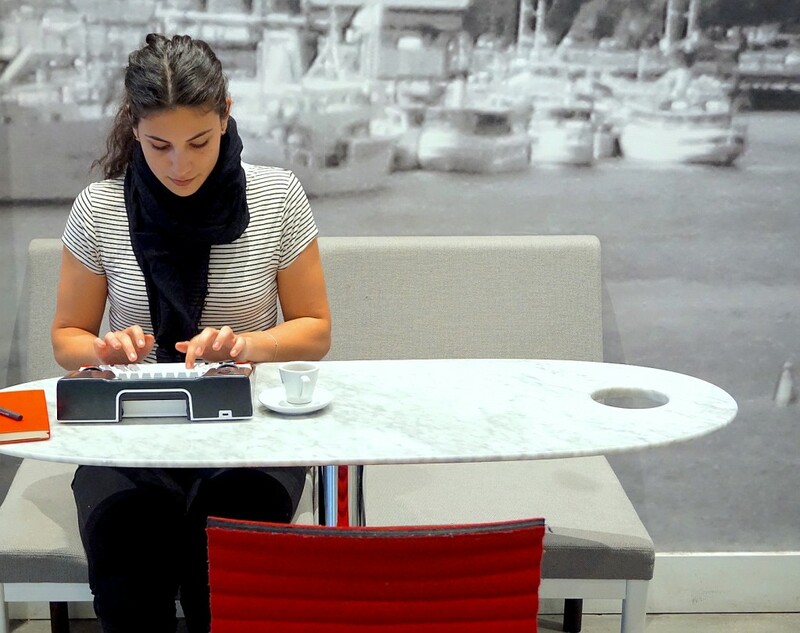 The Freewrite provides you with access to all of the necessities of writing in the 21st century, such as backing up your work and portability, but without the distractions of social media, inundating emails, and ad-filled music stations. Available for purchase now, you can get your own Freewrite for $499. So – do you think you can write in 2016 without going on Facebook, or is the Freewrite a welcomed addition in your life?